Go for the gold this holiday season–gold décor, that is! 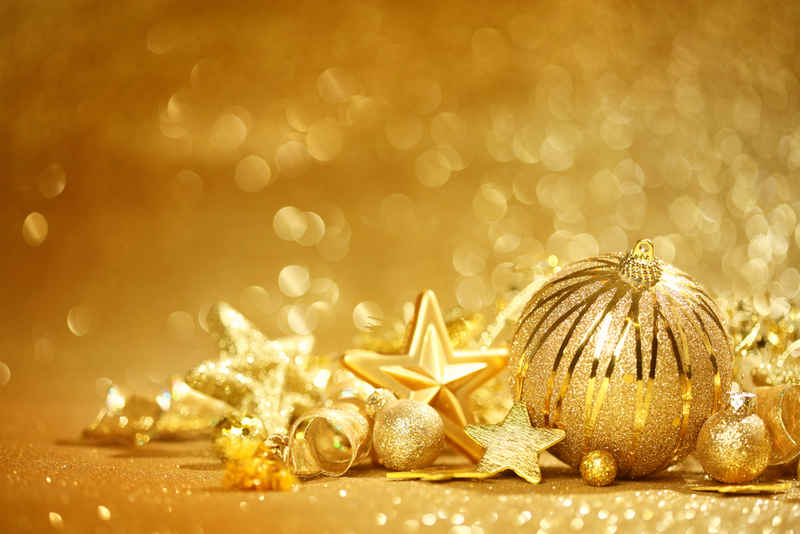 Gold Christmas décor is beautiful, bright and festive. 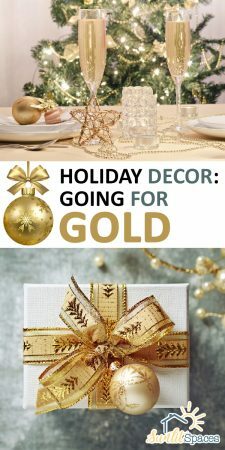 There are many ways to use gold décor in all your Christmas decorating. 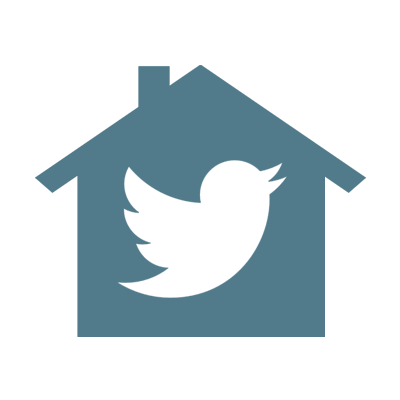 Check out the ideas I found to help inspire you! 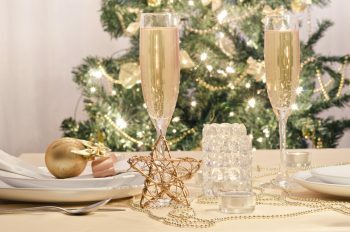 Look how dazzling this gold-inspired Christmas tablescape is! Pair up the gold with white, and add crystal accent pieces like the votive candle holders and stemware. 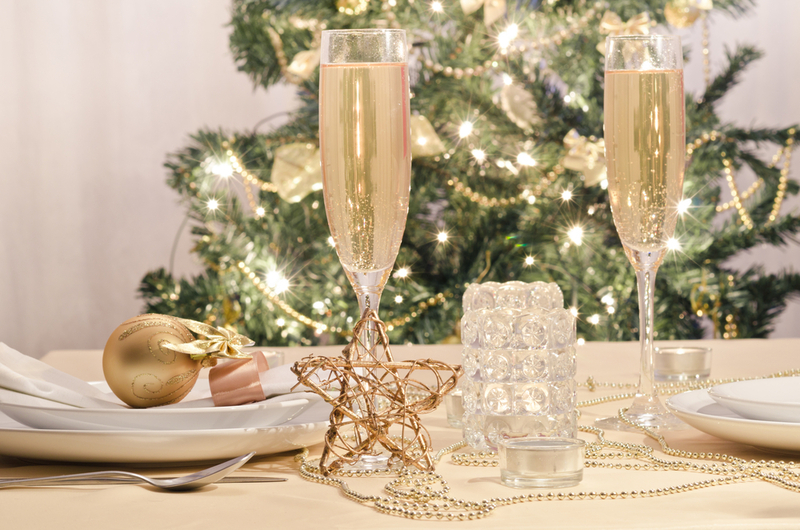 The ways to use gold Christmas décor in your dining room are limitless–not to mention classy! These will look great on the dining table for your annual Christmas dinner. 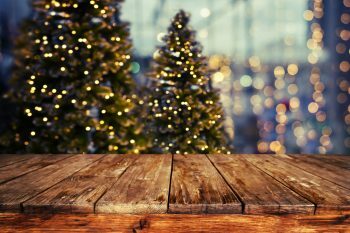 There is nothing wrong with simplicity in your Christmas décor. I’m a fan of dressing an evergreen tree with warm white lights, which totally look golden when you turn them on. 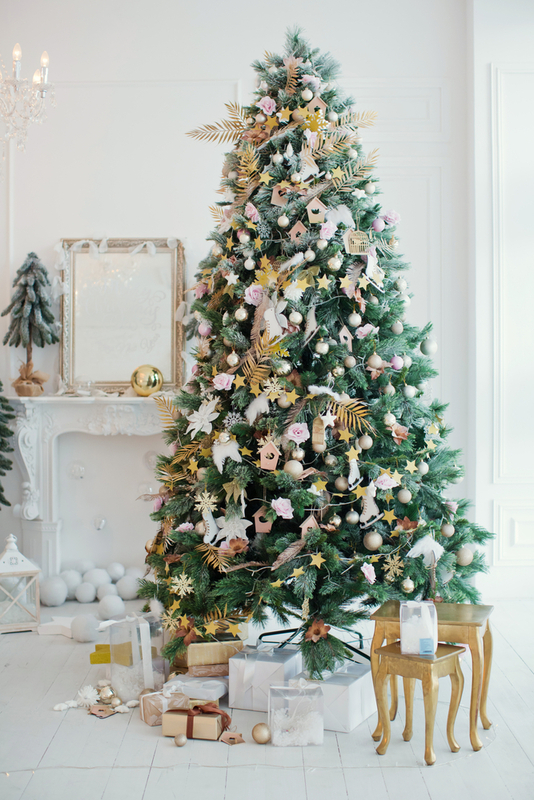 Your tree doesn’t need anything else to look simply magical! Part of the beauty of the Christmas tree is the pretty packages that lay underneath. Extend your gold Christmas décor to the wrappings and bows underneath the tree so everything matches. 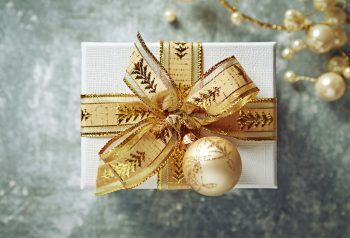 Plain white boxes dressed with fancy gold ribbons still look absolutely amazing, and you save the trouble of wrapping! If you don’t mind wrapping, look for pretty paper to match your gold Christmas décor and have fun with it. Here’s a look at how gold Christmas tree ornaments and gold-wrapped packages combine to provide a stunning look for your living room. 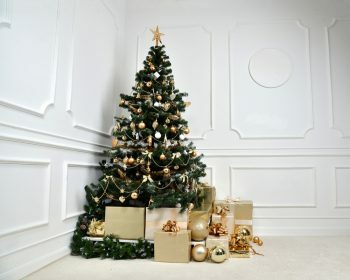 I think that including extra-large ornament balls underneath the tree is a fun touch. As I already mentioned, gold pairs up so beautifully with white for an elegant Christmas color combination! Some touches of silver are also welcome. 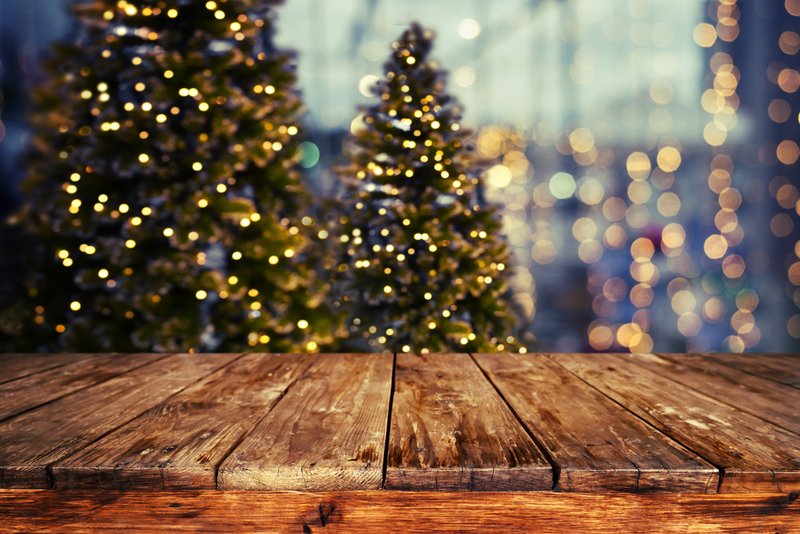 The gold stools next to the tree provide the perfect spot to just sit and admire the magic! It’s also easy to include gold candles, stars, and even throw pillows in your Christmas décor. 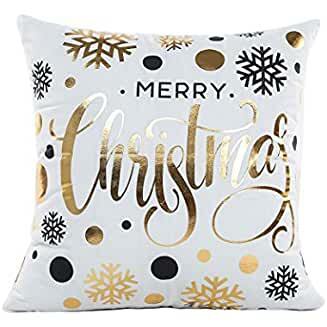 Visit Amazon for a wide selection of gold Christmas décor!